Change has come to Midtown restaurant Cook & Collins. The casual neighborhood restaurant served its last meal on Sunday (first reported by the Houston Press), but the space already has a new concept thanks to chef Adam Puskorius. The Woodlands-native has a wealth of experience in the restaurant industry including four years as chef de cuisine at fine dining restaurant Mark's American Cuisine, a prior relationship with Cook & Collins owner Michael Paolucci via work he did at both Pub Fiction and Celtics Gardens, and time in the Eddie V's organization, where he ran the kitchen at the popular West Ave location and opened restaurants in other cities for the company. Puskorius and his wife spent the last two years in Chicago, but they decided the time had come to return to Texas with a concept that seems like a perfect fit for Midtown. 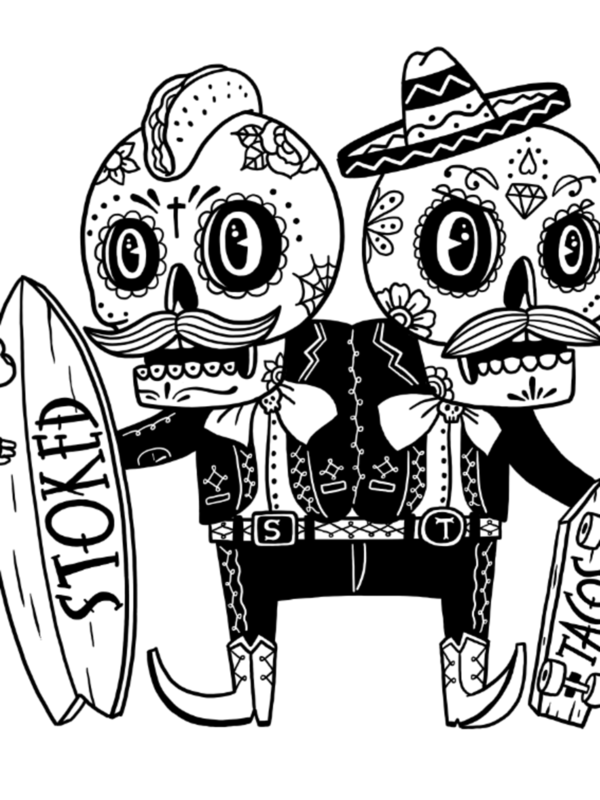 Slated for a spring opening, Puskorius's new restaurant is called Stoked Tacos & Tequila. Modeled after Big Star restaurant in Chicago, the chef tells CultureMap that Stoked will be a "rock and roll taqueria" that features scratch made tortillas, salsas and "big pitchers of mezcal and tequila" with "a really fun atmosphere." The restaurant will be open Tuesday through Sunday and will serve food until midnight during the week and 2 am on Friday and Saturday. "We spent a lot of time hanging out (at Big Star). I felt like looking at Cook and the huge patio that we could bring that concept there," Puskorius says. "We’re going to try to stay as local and organic as possible. We hooked up with a couple of farms around town, Black Hill; we’re going to get our meat from Felix." The chef's experience in fine dining will be reflected in both taco fillings, which will run the gamut from traditional favorites like al pastor and braised chicken thighs to cheese-filled and vegetarian options, as well as in delivering a level of service that people may not expect at a casual restaurant. Physical changes to the space include opening up the dining room by removing the booths, redecorating the patio with new lights and furniture and the addition of a to-go window for Midtown pedestrians. Travis Drake, who is Puskorius's business partner in the Running Game Clothing Co., has been working on the look and feel of the space, which will have Day of the Dead inspired elements. Comparisons to places like El Big Bad and Eight Row Flint are probably inevitable, but certainly a city of Houston's size can support multiple concepts serving high quality tacos and creative cocktails. Puskorius says he's visited both places and liked what he's tried. "We’re not trying to copycat anybody. We’re just trying to bring our own style to what we do," he says. One thing that won't be changing will be Spare Key, the intimate cocktail lounge from Anvil veteran Chris Frankel that's located above Cook & Collins. The bar will close from February 8 to 17 for some minor remodeling that includes new banquettes, wallpaper, and some color on the walls. Frankel will also be helping create Stoked's cocktail menu. "I feel like he’s driving that thing home and built it," Puskorius says about Frankel's work at Spare Key. "All we’re going to do is show him some support." If all goes according to plan, Stoked will only be the first concept from Puskorius's newly launched UFO Group (Upscale Funky Operations). He's already working with Paolucci to scout for other locations and has ideas about both a pizza restaurant and an oyster bar. "We don’t really know," what the future holds for the UFO Group, he says. "It depends on what locations we get."